Watch all the jsk github repositories. You can login to slack from here. You can create account using imi address. scudcloud is a desktop client for slack and you can install it by following instruction. You can restart travis and jenkins from slack's #travis channel. You can browse all channels by clicking Channels in a left menu bar. Type restart travis <job-id> from slack#travis channel. N.B. 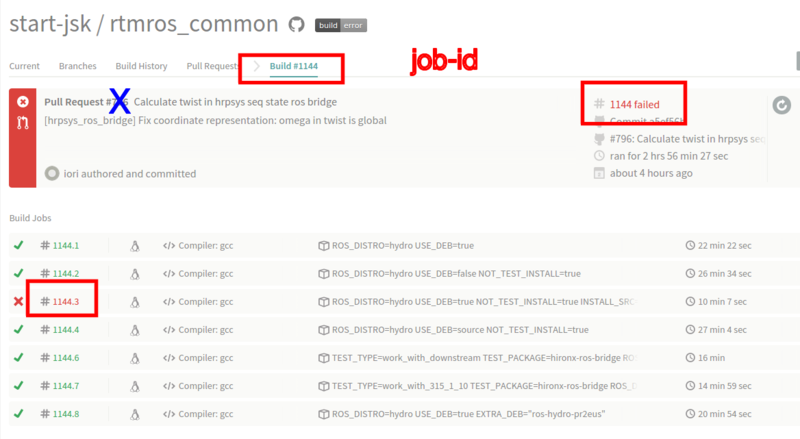 : <job-id> is not the number of Pull-request. you can get <job-id> from Travis page. Type restart docker from slack#travis channel.